Onion side effects include onion breath and onion taste in the mouth, otherwise onion is quite safe. In diabetic people, hypoglycemia occurs due to use of onion with anti-diabetic medicines and this side effect is due to anti-diabetic medicines use without monitoring blood sugar level regularly. Onions are generally safe as a food and side effects are not reported with the use of onions as food. However, some side effects appear due to overconsumption of onions and most common side effect is onion taste in the mouth and Onion Breath. The similar effects occur with the use of garlic. It causes same side effects as onion causes. 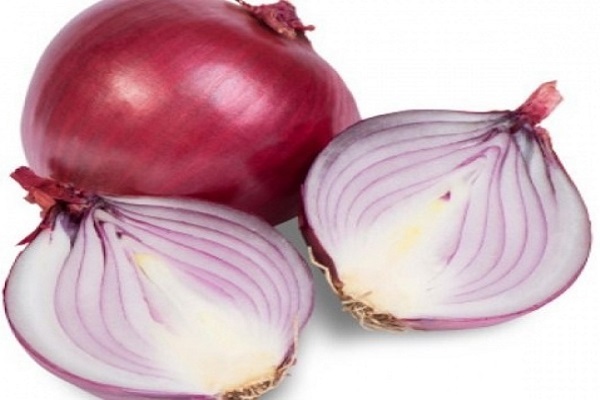 Onions are delicious food used to enhance the nutritional value of the dish. It also has many health benefits. Onions taste in the mouth is generally occurs in some people, it is not a problem of everyone. However, onion breath is a common side effect of onions. Vidalia onion lacks sulfur and sweet in taste. Generally, bad breath is not reported with sweet variety of onions. However, there is a no serious side effect of onions except its taste. If you have noted that, some products are not suitable for you and contain onion extract or its powder, the side effects may not be due to onions. You should also check the health effects of other ingredients. Generally, strong spices use along with onions may cause burning sensation, acidity and heartburn in some people. However, onion if used alone is quite safe. Onion juice is one kind of aqueous extract onions and it is used in various recipes. It generally contain high amount of water and usually safe. Excess consumption of onion juice may result in belching and upset stomach. Diphenylamine is an ingredient of onions. It has some antioxidant activity and may protect person from scald. Its safety is not yet well understood. Up to 35 mg of Diphenylamine per day is well tolerable in humans. Diphenylamine is also related with toxicity in rats and it may cause a severe irritation in eyes. This side effect may appear if diphenylamine amount in food exceed from 35 mg per day. However, Diphenylamine amount does not exceed from 35 mg per day in regular daily use of onions in dietary amount. Therefore, it is safe to eat onions in larger amount. In India, onion is necessity of every home and many pregnant women regularly eating onions in veggies and various food recipes. They have not reported any bad consequences of onions during pregnancy and breastfeeding. However, there is not scientific research available about the side effects and safety of onions in pregnancy and breast-feeding. Onions are used in traditional medicines to increase breast milk production. Traditional and alternative medicine texts suggest eating onions with food to increase breast milk. In Asian countries and tribal population, this remedy is used as home remedy to increase breast milk in nursing women. However, we suggest eating onions in moderate amount during pregnancy and breast-feeding. You should not take onions in larger amounts. Excess use of anything is always bad. Onions are beneficial for diabetic people, but the side effect might appear in some case that onions might reduce blood sugar levels and might result in hypoglycemia. This side effect is noted in very rare cases and in people, taking modern medicines along with onion juice. If you are diabetic and consider use of the onion in medicinal dosage and purposes along with conventional anti-diabetic medicines, then you should also check your blood sugar level regularly to avoid hypoglycemia and monitoring the dose of conventional medicines. This side effect is myth and not due to the use of onions. In fact, it is due to the use of conventional anti-diabetic medicines without monitoring blood sugar level regularly. In some cases, onion can cause allergic reaction and symptoms can be similar to symptom of garlic allergy. Generally, it may cause itching, swelling, inflammation of skin.